About 20 million Americans are affected by dust mite allergies. These tiny bugs — too small to see without a microscope — can live in mattresses, bedding, upholstered furniture, stuffed animals, and carpets. 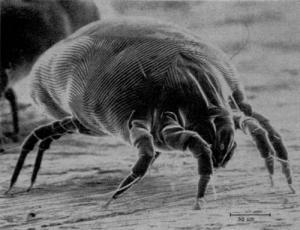 Dust mite waste and debris from dead dust mites contain a protein that produces an allergic reaction in some people. How Do I Manage House Dust Mites? Dust mitesthrive in conditions that are common to many households. They prefer temperatures between 68 and 77 degrees and a relative humidity of 70-80%. Dust mites feed on the tiny flakes of skin that humans normally shed every day. These preferences make bedrooms ideal places for dust mites to live. Vacuum carpets and upholstered furniture once or twice a week. Clean bare floors with a damp mop and wood furniture with a damp cloth. Eliminate items that make good habitats for dust mites like stuffed animals, drapes, rugs and carpets, if possible. If not, wash throw rugs in hot water or have them dry cleaned. Use an air conditioner or dehumidifier to lower humidity. Place covers over pillows, mattresses, and box springs. Wash bedding in hot water once a week and dry bedding in a hot dryer. You can use antihistamines, corticosteroids, decongestants, cromolyn sodium, and leukotriene modifiers to help you manage the symptoms of dust mite allergies while you work on reducing their numbers in your home. You should consult with a healthcare provider, especially if your allergy aggravates other asthma symptoms. The medical professionals at FastMed Urgent Care are available 365 days a year to recommend the best treatments for controlling your allergy symptoms and asthma. We offer extended hours during the week, and you don’t need an appointment to discuss your dust mite allergies. FastMed Urgent Care accepts all major insurance plans, including Medicare and Medicaid so be sure to check out our Insurance page to confirm that your plan is accepted. 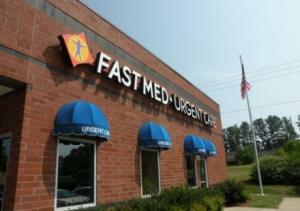 Like us on Facebook and follow us on Twitter to find out more about FastMed Urgent Care in your community!